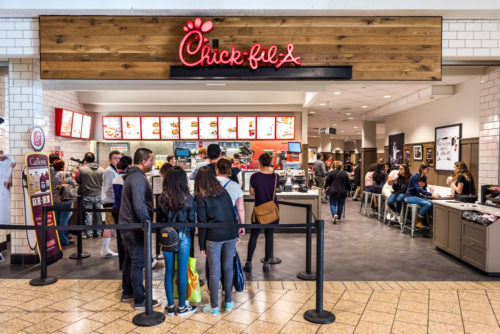 The San Antonio city council has voted against allowing Chick-fil-A to open a franchise in the local airport after it was revealed that the company has continued to pour millions of dollars into anti-LGBTQ groups. Treviño made the motion to deny the fast food chicken sandwich outlet the lucrative spot as an airport concession. Paradies Lagardère, a company that operates restaurants and shops in airports, had applied to open several concessions in 10,000 sq ft of space in one of the airport’s terminals. The application was approved with the stipulation that Chick-fil-A not be included as an option. The council vote was 6-4. The four votes against the measure were spurred by councilors who wanted more time to examine the contract.